INDIANAPOLIS, IN. (January 9, 2019) — Firing up the suspense of the release of FLORIDA GEORGIA LINE’s fourth studio album, CAN’T SAY I AIN’T COUNTRY, the GRAMMY nominees announced their 2019 CAN’T SAY I AIN’T COUNTRY TOUR exclusively with Billboard today. 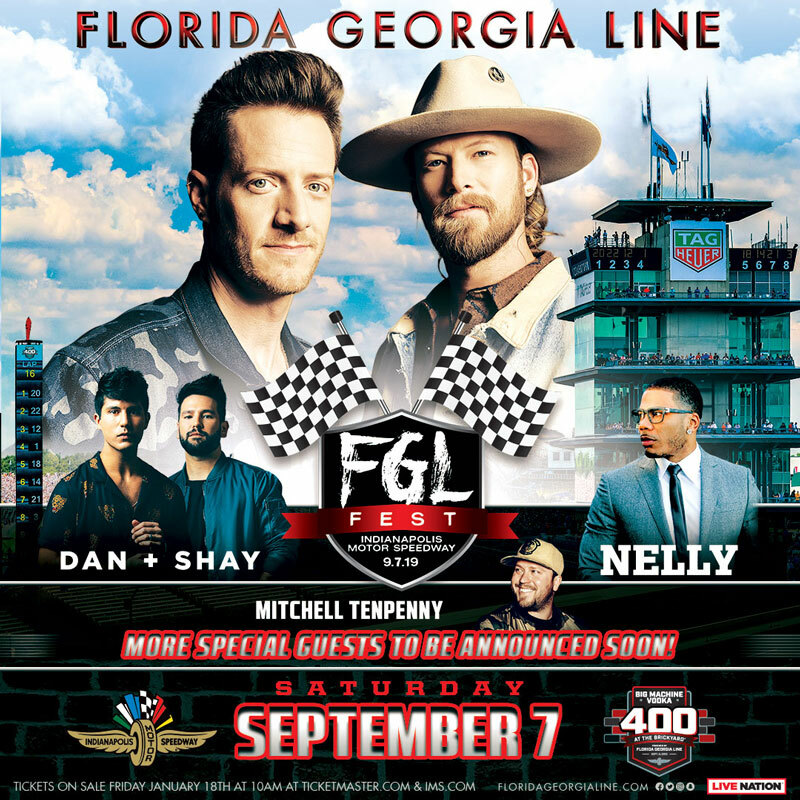 The announcement included details for FGL Fest set to take place at the famed Indianapolis Motor Speedway on September 7. FGL Fest is a multi-act music event produced by Live Nation and created to coincide with the Big Machine Vodka 400 at the Brickyard Powered by Florida Georgia Line race which takes place at IMS on September 8. 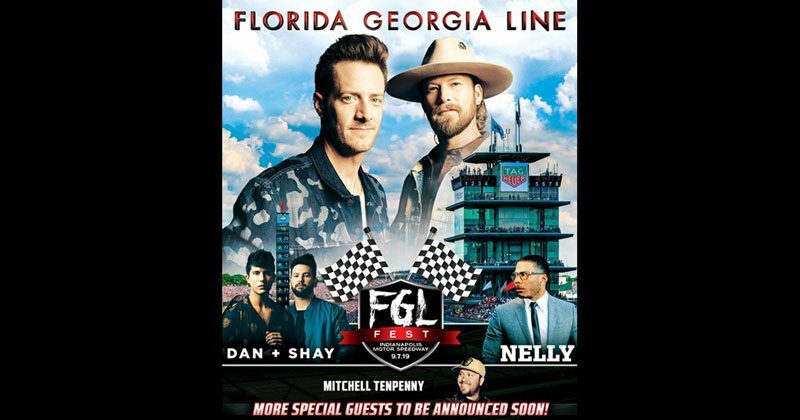 FGL Fest features FLORIDA GEORGIA LINE plus DAN + SHAY, NELLY, MITCHELL TENPENNY, and more acts who will be announced soon. Tickets on sale now at Ticketmaster.com and IMS.com.